who care for those with sleep apnea often balance duties at home and work during the day. night. Juggling these tasks can be difficult and even impossible to manage. 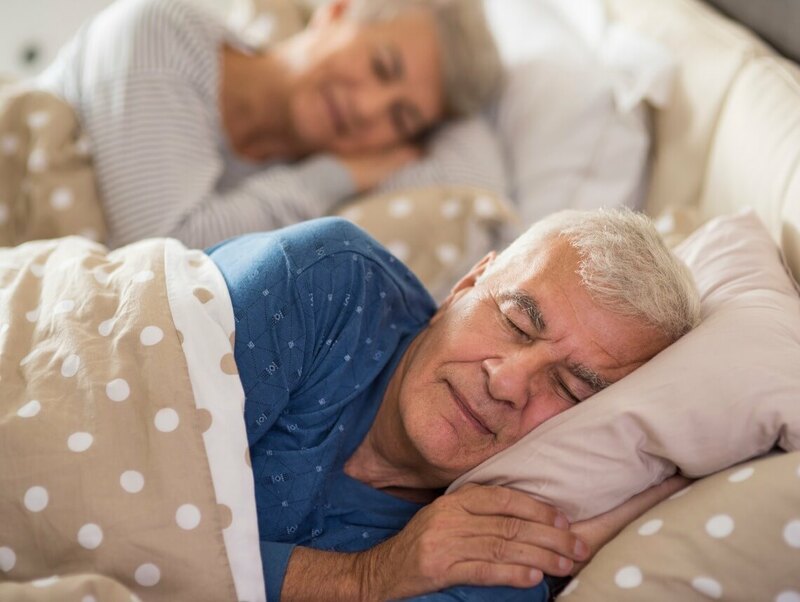 Learn how sleep apnea affects seniors and where to find respite care to restore peace of mind to your family. Sleep apnea is a sleep disorder that causes an interruption of breathing while one is sleeping. Sometimes, the cessation of breathing can occur hundreds of times per night (possibly lasting more than a minute), which means the brain along with the rest of the body may not be getting enough oxygen. There are three types of sleep apnea. This is the most common type and is caused by a blockage in the airways. During sleep, the muscles in the throat and tongue relax (sometimes collapsing) causing a blockage in the airway. This absence of air causes apnea as well as snoring. This is a less common type that occurs when the brain temporarily stops sending signals to the muscles that control breathing. With this type, patients often experience long periods of obstructive sleep apnea, followed by brief periods of central sleep apnea. If the doctor suspects your loved one has sleep apnea, they may recommend a sleep apnea test, known as a polysomnogram. This test can be done in a sleep disorder center or can sometimes be done in your home. A polysomnogram (also known as a sleep study) is a multiple component test that transmits and records specific physical activities while the patient sleeps. These recordings are analyzed by a sleep specialist and will determine whether the patient has sleep apnea or another type of sleep disorder. Other tests for sleep apnea include EEG, EMG, EOG, ECG, a snore microphone, and a nasal airflow sensor. Sleep apnea can also contribute to poor performance in daily activities, such as driving. A person with undiagnosed sleep apnea is at least 6 times more likely to have a car accident. If left untreated, sleep apnea can lead to a number of ailments, including high blood pressure, stroke, heart disease, vehicle or work-related accidents (caused by lack of sleep), and depression. Weight loss, nasal decongestants, surgery, and certain lifestyle changes are effective ways to treat sleep apnea; however, the only definitive way to diagnose and treat the condition is through a sleep study and medical follow up. If you or a loved one are experiencing symptoms of sleep apnea, consult a medical professional. Once diagnosed, your doctor may recommend a custom-fit mouthpiece designed to keep your airway open throughout the night. CPAP (continuous positive airway pressure) machines are also commonly prescribed for sleep apnea. Surgical intervention is a last resort for widening the air passageways and/or removal of the throat tissue causing the restriction. Maintain a healthy weight. Nearly 70% of sleep apnea patients are overweight. Weight loss and management has been shown to improve the quality of sleep, helping to not only treat but prevent many sleep disorders. Proper exercise. If exercising in the evening, avoid doing so 3 hours before bedtime. Proper diet. For those with sleep apnea, it’s best to avoid consuming alcohol and caffeine before bed. It’s also recommended to avoid large meals at least three hours prior to bedtime. Eliminate distractions in the bedroom. This includes things like television, computers, phones, bright lights, and the like. Maintain a consistent sleep pattern. Maintain a good sleep schedule throughout the week and avoid long naps during the day. Avoid airway obstruction. To avoid obstruction of the airways, sleep apnea patients should change the position in which they sleep (ie: sleep on your side rather than on your back). For those juggling many roles (family caregiver, professional and parent), being on watch throughout the night can be difficult – and often times impossible. For many, consulting the help of a home health care professional is a good option. Sonas Home Health Care can help bring families peace of mind. We provide compassionate and competent caregivers to provide respite care throughout the night, from a few hours to around-the-clock care.